When American archaeologist Hiram Bingham stumbled upon Machu Picchu in 1911, who knew travelers would be seeking all sorts of ways to access the ancient ruins. Currently, it's by foot or train, the latter of which tends to be most popular. 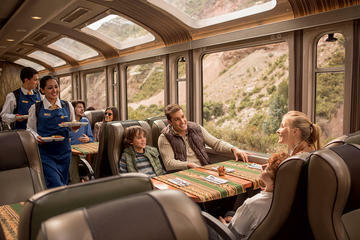 Now Inca Rail, Ollantaytambo, Peru is offering, the 360° Machu Picchu Train. 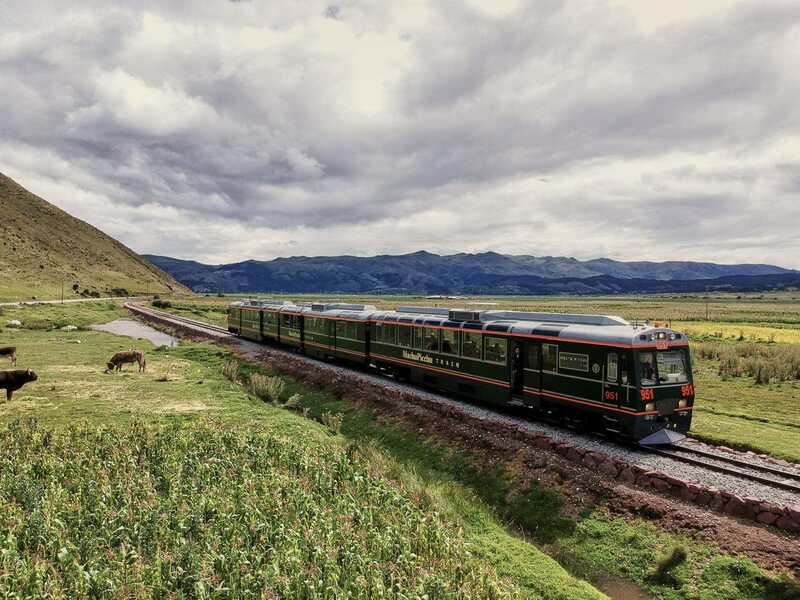 This is the hot and new incredible way to get to the famous Inca city. 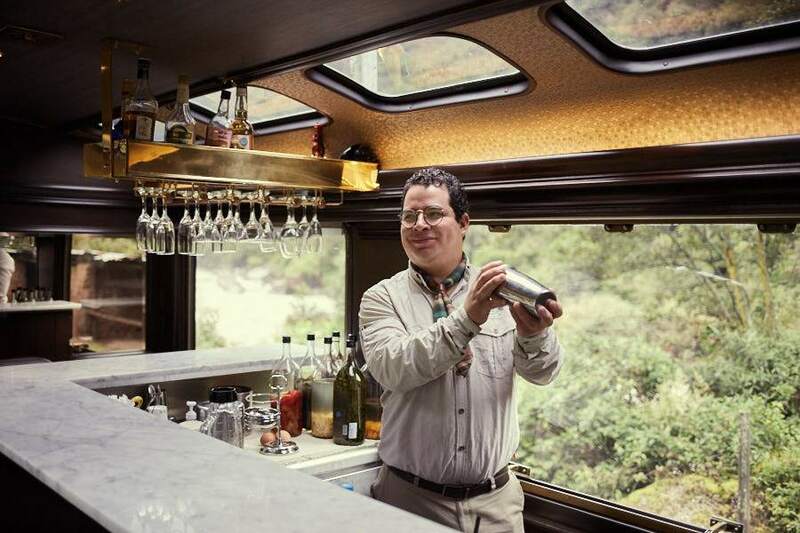 They have comfortable seating cars, a cocktail bar and food, an observatory car and two charming waiting rooms before boarding the train. Santa Barbara Airbus was named the 2017 Large Business of the Year by The Chamber of the Santa Barbara Region during its Regional Business Awards ceremony. The award ceremony is generally held in January each year and covers the previous twelve months, yet were rescheduled and awarded on May 11, 2018. According to The Chamber of the Santa Barbara Region (CSBR) President and CEO Ken Oplinger, nominations are received from members and awarded by a volunteer committee of Board Members, Ambassadors and Members after careful deliberations on criteria including: Business Excellence – Achieved successful business practices, e.g. financial strength, marketing, promotional activities, strong ethics. Promotes employee self-growth and development and has demonstrated a high level of customer satisfaction, confidence and service; as well as Community Service – Has proven their interest in the welfare of the community through financial contributions, personal service or civic leadership. “Not fires nor debris flows nor fog of night will keep us from celebrating local businesses. 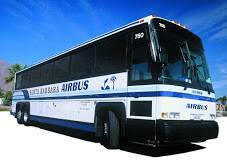 We are so pleased to honor Santa Barbara Airbus,” Oplinger remarked. The Amtrak® Pacific Surfliner® is extending its friends and family discount offering special savings on train travel to Ventura, Santa Barbara, and San Luis Obispo counties through June 25, 2018. For a limited time, passengers can purchase one full-fare adult ticket and book up to three additional passengers on the same reservation at a 50 percent discount on select Pacific Surfliner trips. The friends and family discount is valid for travel on Pacific Surfliner trains to/from the following stations: Simi Valley, Moorpark, Camarillo, Oxnard, Ventura, Carpinteria, Santa Barbara, Goleta, Lompoc-Surf, Guadalupe, Grover Beach, and San Luis Obispo. The discount is also valid on connecting Amtrak Thruway bus services to additional destinations including Solvang, Lompoc, Buellton, Santa Maria, Cal Poly San Luis Obispo, CA and University of California, Santa Barbara. Book up to three companions with a 50 percent savings – Purchase one full-fare adult ticket for Pacific Surfliner travel to/from Ventura, Santa Barbara, or San Luis Obispo counties, and receive three additional tickets at a 50 percent discount on the same reservation. On PacificSurfliner.com or Amtrak.com, select “Adult” as passenger type (for up to four adult passengers), then enter V346 in the promotion code field. Tickets can also be purchased by calling 800-USA-RAIL or visiting a staffed station, and referring to discount code V346. This discount is not available through the Amtrak app. A 20 percent discount on individual Pacific Surfliner tickets is also available year-round through partners at Santa Barbara Car Free (for travel to stations in Santa Barbara County) and San Luis Obispo Car Free (for travel to stations in San Luis Obispo County. Visit santabarbaracarfree.org and slocarfree.org for more information on these programs. The Amtrak Pacific Surfliner offers daily service between San Diego, Orange County, Los Angeles, Ventura, Santa Barbara, and San Luis Obispo, connecting travelers to popular destinations along the Southern California coast. Many destinations, including Ventura, Santa Barbara and San Luis Obispo, are easily walkable, but also offer free bus and shuttle connections to Pacific Surfliner riders through the Transit Transfer Program. Visit pacificsurfliner.com/save to view complete details on the Friends and Family Discount, browse trip ideas, download schedule information and more.